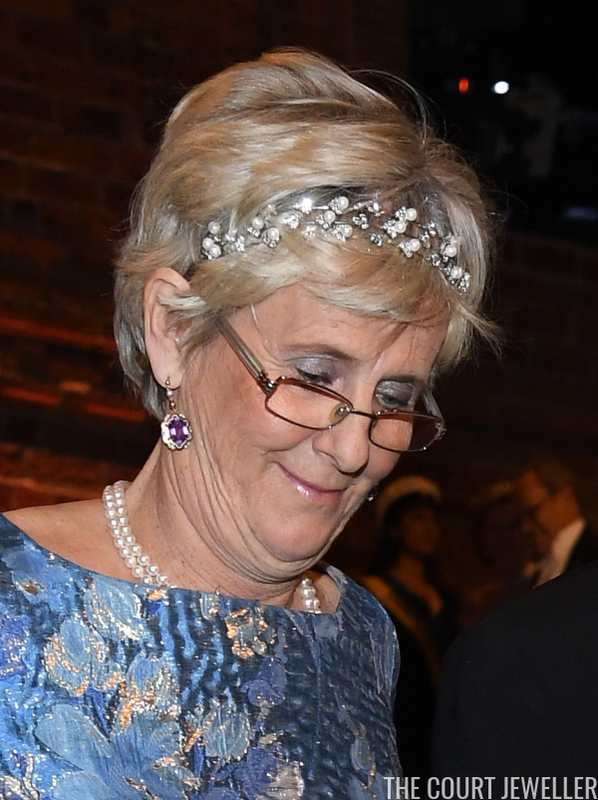 We've talked about the royal tiaras worn at the Nobel Prize ceremony in Stockholm on Sunday, but we've still got a few tiaras from members of the royal household to discuss. 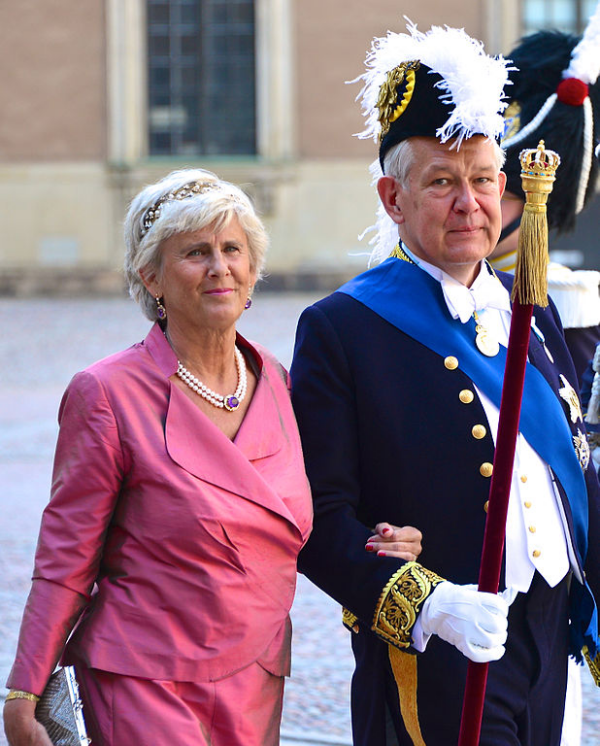 Catharina Lindqvist is the wife of Svante Lindqvist, who has been Marshal of the Realm of Sweden since 2010. 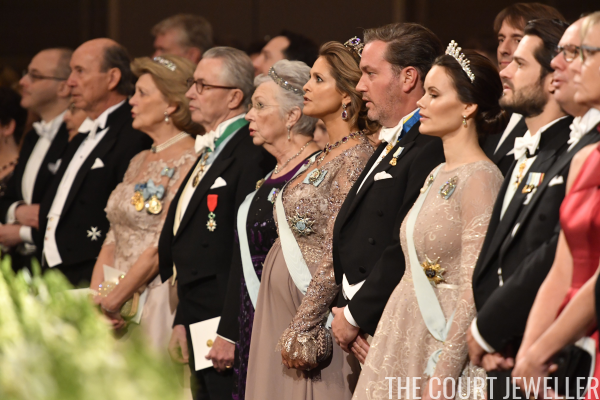 For the Nobels, she wore her pearl bandeau along with a coordinating suite of jewels. 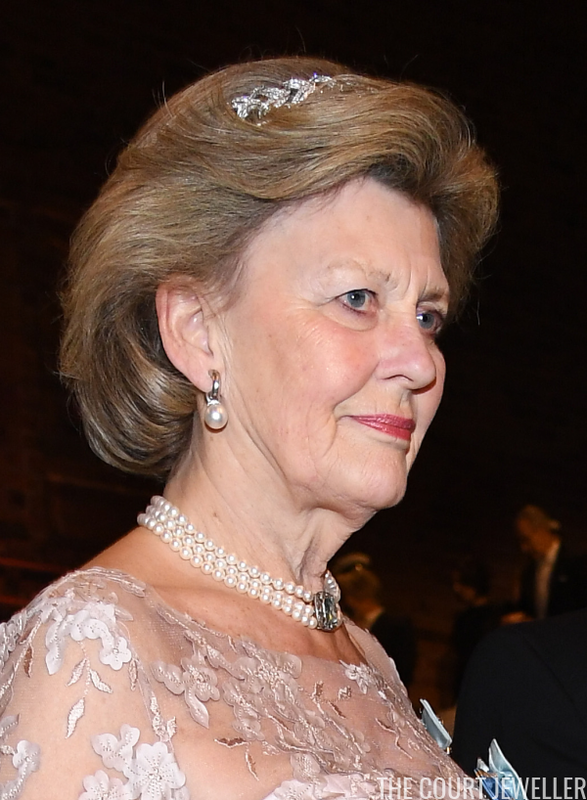 Catharina wore the same jewels for the wedding of Princess Madeleine and Chris O'Neill in 2013. Kirstine von Blixen-Finecke, the Mistress of the Robes, also wore a tiara and pearls. This small bandeau appears to have a leaf design.